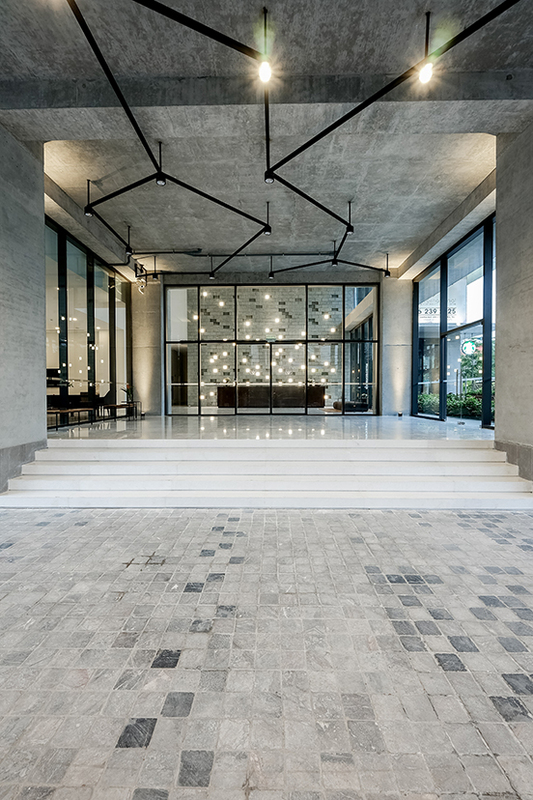 Set with a service apartments’ project in Hanoi, the spacious entrance lobby has a triple height, brick layered feature, aptly named the ‘Constellation”, that provides and impressive effect for the main hall of the residence lobby. Set in a corner space that has triple height windows, the wall can be seen from the outside, becoming a design statement. Constellation has been conceived to allow natural light to illuminate the reception area, complimenting a natural patterned décor. Carrying through the theme of concrete throughout the interior, the space feels connected and balanced. 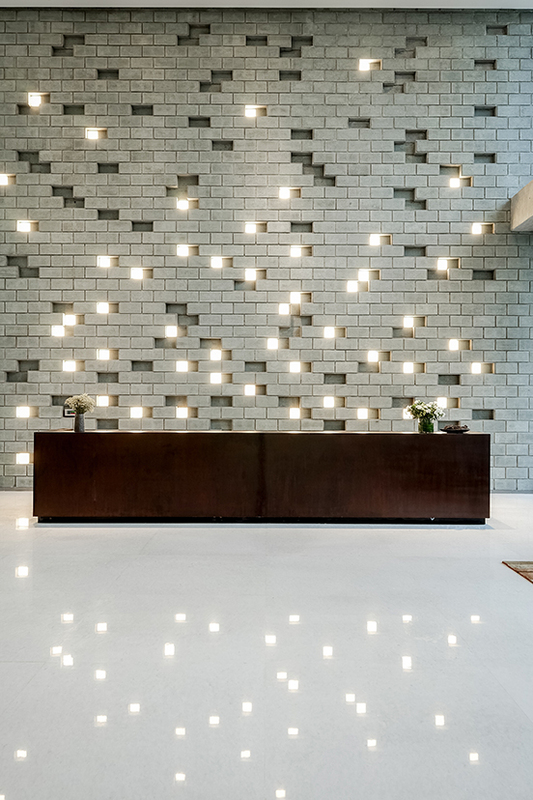 The lighting scheme forms “constellation lines” that complement the vast feature wall. By contrast the reception desk is made from corten steel and makes a material reference to the corten steel implemented in lush landscape outside, which can be seen through the large floor to ceiling height glass panels. Vast natural light connects users to the external environment, with minimalist design and carefully selected materials that express a charismatic quality. Establishing a strong visual connection, the large wall uses less materials through an abstract array of a “pattern” that has no set details. This is highly effective technique enables replication of this style, as it’s not the detail but the idea that attains an iconic, raw and strong identity.